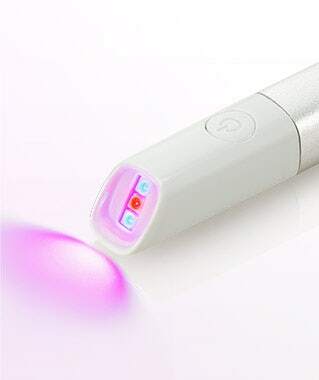 With clinically proven light therapy technology used by dermatologists for over a decade, our acne treatments harness the power of light to treat mild-to-moderate acne for healthier, clearer skin. Neutrogena® Acne Light Therapy harnesses the power of light to treat acne. 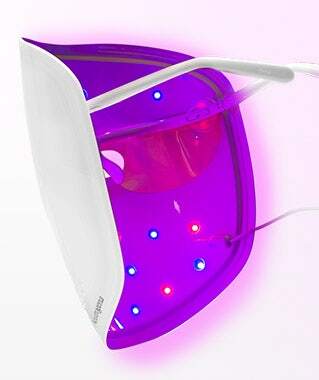 Blue light targets acne-causing bacteria just beneath the skin's surface, while red light goes deeper to reduce inflammation. "I FEEL SO MUCH BETTER AND MORE CONFIDENT ABOUT MY SKIN!" "... MY SKIN IS NOW CLEARER THAN EVER..."
"MY SKIN FEELS AND LOOKS AMAZING..."
"MY SKIN FELT SOFTER, CLEARER, AND LESS OILY..."
"IT TARGETS THE ISSUES WITHIN OUR SKIN..."
"...it's now no longer a fancy in-office treatment - it's accessible." Learn how to use Neutrogena® Light Therapy to treat your acne. Neutrogena® has partnered with top e-recyclers to make it easier and safer to dispose of your used Light Therapy Acne Mask Activator. It's time to find the right acne products for your personalized routine.